For me, one essential factor is the difference in season lengths. Cable TV shows generally only run for 11-13 episodes per season, while network shows nearly double that number. Obviously, a writer needing to produce twice as much content in the same year might end up sacrificing quality for speed ... but what if there were another reason? What if a shorter season was actually linked to better storytelling in some essential way? How does this apply to writing in general? I suspect it connects somehow to series books, but I haven't worked that part out. In the meantime, it's simply a powerful parable about the importance of not holding anything back. I'm currently in the middle of a second book, and I'm constantly getting exciting story ideas that I think I should save for a story in the distant future. That's ridiculous. I should be putting everything into the book I'm writing now. I should be treating this book like the last one I may ever get to write. Last week, I had the pleasure of watching a staged adaptation of CS Lewis' Till We Have Faces. In advance of the show, I sat down and read the book.[1. This was long overdue; people have been telling me that I would *love* this novel for years. Summary judgment: I think this is a book that would have blown my mind in college, but less so as an adult.] There was something near the end of the story that seemed like a good jumping-off point for a topic I've been meaning to blog about for ages. First, a little setup: Lewis' book is a retelling of the myth of Cupid & Psyche. It follows Psyche's scorned older sister, Orual. After losing her beloved sister, Orual becomes embittered and angry. At the end of the story, she finally gets an audience before the gods -- a chance to make her case for how they have wronged her. But instead of giving a sympathetic plea, she unleashes a tirade that betrays her own selfishness. This "word" that Lewis eludes to is the magical, rare moment when a person sees him or herself with clarity for the first time. Aristotle (the grandfather of writing analysis) had a word for this moment in a character's journey: "anagnorisis." There you have it. Anagnorisis is the moment when someone understands a Truth so powerful that it effects change in their lives. I don't know about you, but this moment is the reason I read stories. In fact, I judge the quality of a story by the quality of its anagnorisis, because when done right, I share in the character's epiphany. I have a card with "anagnorisis" on it taped to the wall above my desk, because I never want to forget that every chapter, scene, and word is working to that one profound moment. After all, How can my characters meet audiences face to face till they have faces? When I glanced down the many responses from readers, I noticed that they fell into two distinct camps. The first group agreed with Bransford, listing traits that point to a strong work-ethic -- "determination," "passion," "persistence," etc. The second group focused more on traits that make up the writerly psyche -- things like "curiosity," "honesty," and (my favorite) "bloody mindedness." Obviously, this is a trick question; there's no one answer to what makes a writer. But looking down this list, I felt like both types of answers were missing an essential element. Consider the work-ethic answers. Are determination, passion, and persistence important to a writing career? Of course! However, they are in no way unique to writers. Success in any career requires these qualities. This feeling has plagued me my whole life. Every time I've sat down to write something, it's because I feel fundamentally misunderstood by those around me. Writing is a chance for me to articulate all the things going on inside me in a way that I hope will make sense to others. The good news is that this never goes away. As of this month, I finally have my first novel in the world(! ), and every time I read a minor quibble in a review, I feel the same burning shame and frustration that filled me as a child whenever a teacher or parent misunderstood what I had been trying to say. It's that feeling of being misunderstood that pushes me to write another story. And another. And another. 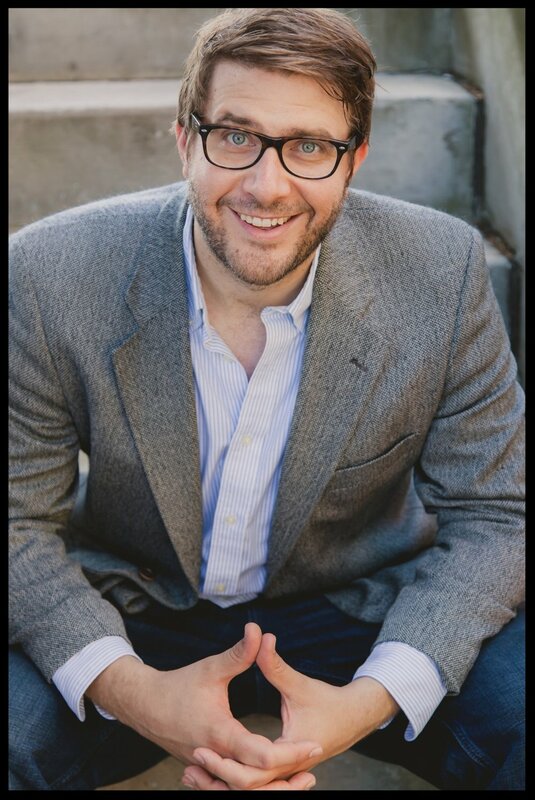 UPDATE: Nathan Bransford just revisited the topic on his blog, highlighting what he thought was a particularly poignant response from one reader. Click here to read. "Blogs, and Poetics, and Hermeneutics -- Oh My!" Over the last year-and-a-half, my wife and I have been reading Lloyd Alexander's Chronicles of Prydain aloud to each other.[1. For the record, I do a pretty awesome Gurgi ... ask me to bust it out the next time you see me.] While doing so, I started to form a brilliant theory about how traveling parties in quest stories often function as reflections of a specific trait in the protagonist -- it was going to be the Greatest Blog Post that the world had ever seen! That is, until Betsy Bird at the School Library Journal went and ruined everything by beating me to the punch. Last week Betsy posted a piece entitled The Oz Quest Theory: Are Four Characters Too Many? 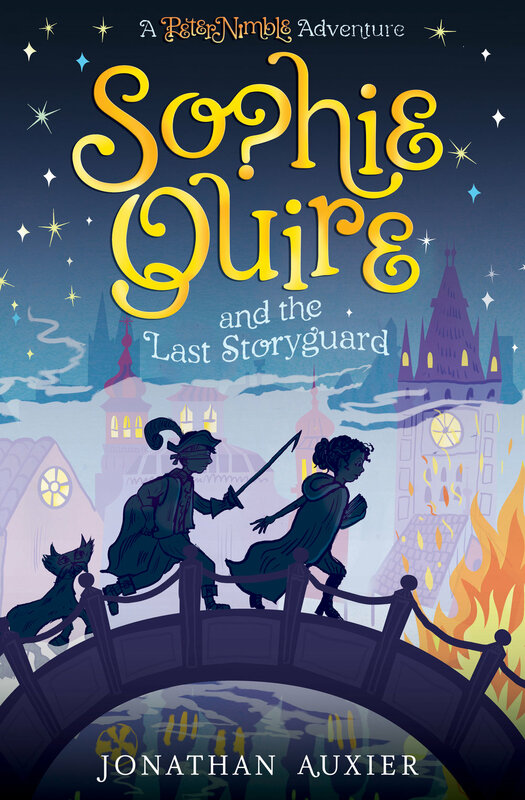 She suggested that Wizard of Oz is but one example in a long list of quest books in which the hero picks up three sidekicks who represent guts, heart, and brains. One of the reasons I like Betsy's blog is that everybody reads it, which means that everybody also leaves comments. Some readers mentioned titles that either broke or followed the "rule of three", others floated theories about what might be motivating the pattern, a few even chimed in to ask "what's the point?" 1) How might three be a uniquely suitable number for storytelling? 2) Why might three be a uniquely significant number in our culture/world? These are two fundamentally different questions, and looking back you can see the tension that stems from people talking at cross purposes.[2. As for my own contribution, I stupidly tried to tackle both questions simultaneously -- which just made me sound scatterbrained.] The comments thread is also a perfect snapshot of a philosophical battle as old as literature. It's the reason MFA writing programs are distinct from Lit PhD programs. It is the difference between poetics and hermeneutics. If you want a scholarly breakdown of these terms, click here. In the broadest sense, poetics is concerned with how and hermeneutics is concerned with why. Poetics people look at stories the way auto mechanics look at a car engine: they want to know how every moving part fits together to make a unified machine (maybe in the hope they might one day build a car of their own?). Sticking with the metaphor, hermeneutics people don't really care about what's under the hood; instead they're more concerned with what it means to live in a world with cars. So which camp is better? Well, I might be slightly more interested in poetics, but I'd be a fool to argue that hermeneutics isn't absolutely essential. After all, hermeneutics is what justifies the very act of making of books (as Mary has informed me on more than one occasion!). Perhaps this is what I find so compelling about the children's literature community? There exists an unusual amount of cross-fertilizaton between poetics and hermeneutics -- authors, editors, librarians, teachers, and readers all coming together to discuss this thing they all love.[3. Except, I would point out when it comes to booking conferences: ALA always seems to book the same weekend as major literary conferences (MLA and ChLA). Because of this, Mary will miss my first book signing, and I will miss her presenting a paper on Octavian Nothing. Not cool, conference planning people, not cool...] Is it messy? Of course! Is it frustrating? Sometimes. But what fun would a quest be without a few friends? My first year of grad-school, I wrote a terrible play about a woman who hadn't slept for 17 years. At the center of the story was a mystery regarding what had happened to make her stop sleeping. When I went back home over holiday, I had a former drama professor look at the script. He promptly told me why the play didn't work: I had written a revelation story and didn't know it. These sorts of narratives are hardly limited to theatre. A recent(ish) example from the literary world might be Laurie Halse Anderson's Speak. The primary problem with revelation narratives is that all the interesting stuff happens in flashback. So how does an author bring those past events into the present-tense (where the audience can experience it in realtime)? Usually authors spice up the revelation by making the characters deal with the past trauma. But on the spectrum of dramatic impact, "dealing with issues" is pretty weak -- no matter how well it's written. "I want to think about mystery a little more because it's probably the single most effective plot technique for hooking a reader: Have a secret, let the reader know there's a secret, and then don't tell them what it is until it absolutely serves your purpose to do so. It's a classic childhood strategy, the equivalent of dancing around your reader saying 'neener-neener-neener.'" I think that Cheryl is spot-on so far as it relates to individual scenes. However, occasionally a story drags out the mystery so long that reading the book feels like 300 pages of "neener-neener." Not exactly the best way to win over your audience. When I first started reading Melina Marchetta's Jellicoe Road for our children's literature class, I thought I was getting into a Speak-style revelation narrative. The hero, Tyler Markum constantly eludes to some past events that have defined her.[2. Several other characters in Jellicoe Road also have secrets that are constantly being teased -- the book is nothing if not teasy.] But when Tyler finally gets around to sharing her memories, she learns her understanding of the events was either incomplete or flat-out wrong. That added element creates a nice Rashomon-style twist to the moments of revelation -- and it also keeps the storytelling focus on the chracters, where it belongs. It's no surprise that The Chocolate War -- a seminal work of YA literature -- trades in interiority. But what is surprising is how the book goes about creating it. Generally speaking, most books aiming for interiority make use of the first-person narrative mode.[1. Some go one further and employ the present-tense. If you like hearing people dump on contemporary literary conventions, I urge you to read Philip Pullman's delightful takedown of this trend.] As a writer, I'm a bit leery of this technique. Sure, a great number of brilliant novels have been written in the first person. But I also feel that less talented authors sometimes use this device to compensate for an anemic narrative. Most of the Twilight books contain about 100 pages of plot sandwiched between 500 pages of, er, "interiority." Robert Cormier was a journalist, and it shows in his clean prose. Authors who rely too heavily on first person narration should feel shame when reading The Chocolate War, which somehow creates intimacy between reader and hero without ever ever breaking from the third person. Even more, Cormier doesn't even bother to stay with his protagonist in every chapter -- instead he nimbly hops from one side-character to another, shifting his third-person-limited perspective every few pages. In fact, every public scene containing the protagonist (Jerry Renault) is narrated from the perspective of an outside observer, and it's only after school that we get to hear out hero's take on the events that transpired. I would judge that at most 1/4 of the book is told from Jerry's POV, and yet, by the end, we somehow know him like a flesh-and-blood friend. How does Cormier pull it off? I've read the book three times in as many months and still can't answer that question. However, on this most recent reading, I started to wonder if Jerry's aloofness was actually part of the puzzle. Perhaps the reason that we connect with Jerry so much is because we long to connect with him, and so when we do get a rare glimpse inside his head, we make the most of it. Cormier understood that a book about selling chocolates would not work unless he made it meaningful ... unless he made it a story.[3. Robert Cormier died in November 2000, and Publisher's Weekly released this touching memorial discussing the man and his work.] Many people have observed that DIARY OF A WIMPY KID's Greg Heffley is a sort of middle-grade version of Holden Caulfield ... I wonder if there's a middle-grade version of Jerry Renault out there? Any ideas? What oft was OMG WHERE'S MY PEN?! "... truly to enjoy bodily warmth, some small part of you must be cold, for there is no quality in this world that is not what it is merely by contrast. Nothing exists in itself. If you flatter yourself that you are all over comfortable, and have been so a long time, then you cannot be said to be comfortable any more." I have often argued this same point among friends and family: that the secret to being cozy lies in a part of you being cold; the moment a person is warm all over, they are too warm. However much I may have felt this in life, I could never have said it so well as Melville. "Both glasses hissed and frothed: Goyle's turned the khaki color of a booger." A small observation, but profound nonetheless. These are but a few writers who reached into my brain and scooped out (what I had thought to be) original thoughts. Ordinarily this would make me feel violated or robbed, but these authors managed to express the thought so perfectly that I can't help but feel like I've just discovered a conspirator ... or a new friend. "You can see all sorts of things you can't see downstairs," she said ... "Chimneys—quite close to us—with smoke curling up in wreaths and clouds and going up into the sky—and sparrows hopping about and talking to each other just as if they were people—and other attic windows where heads may pop out any minute and you can wonder who they belong to. And it all feels as high up—as if it was another world." When the square suddenly seemed to begin to glow in an enchanted way and look wonderful in spite of its sooty trees and railings, Sara knew something was going on in the sky. ... she invariably stole away and crept up the flights of stairs, and, climbing on the old table, got her head and body as far out of the window as possible. When she had accomplished this, she always drew a long breath and looked all round her. It used to seem as if she had all the sky and the world to herself. This happens to me a lot. 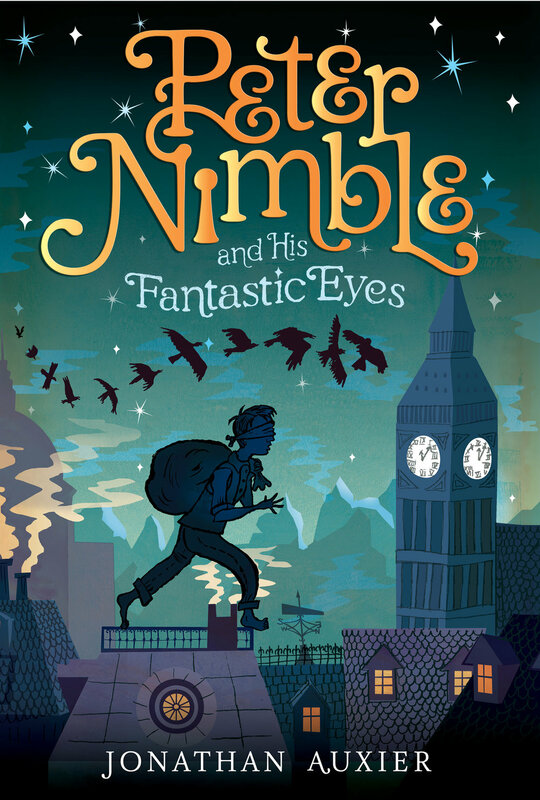 While revising Peter Nimble & his Fantastic Eyes, I was continually rediscovering how this or that moment/character/theme/word was actually inspired by something I had read long ago. This seems right to me. Some writers make a big deal out of creating from nothing; I, for one, am more comforted by the thought that I create from the things that live within me -- things put there by other, greater minds. On the shoulders of giants, and such. I love realizing how forgotten books are still unconsciously informing me, and I hope to continue making such discoveries for as long as I write. Anyone who knows me knows that I'm not a big fan of Lego[1. 1. I am aware that this is heresy; feel free to leave hate mail in the comments section]. Even as a child, I was not shy about my dislike for those rigid little bricks. My problem was that Lego was too detail-oriented. The work was painstaking and the rewards small: put together a bunch of rectangles to get ... a bigger rectangle. Sure, some people can do incredible things, but who has that kind of time when they're eight years old? Totally awesome, right? Construx are similar to tinkertoys in the sense that consist mainly of beams and joints[2. 2. This toy was tragically discontinued in 1988, which meant much of my collecting involved dragging my mother to yard sales in search of discarded sets]. This type of system forces kids to think in structural terms. With Construx there is no such thing as a "final product" -- even the models in that commercial looked unfinished. But what a child loses in polish, he or she gains in versatility and speed. It is essentially a concept driven building toy. I do not actually think one toy is superior to the other. That depends on the kid. But I do think the differences between Lego and Construx perfectly reflect the two major styles of writing MFAs. Graduate writing programs tend to fall into one of two categories: "Creative Wrtiting" (fiction and poetry) and "Dramatic Writing" (movies and plays). From what I have read and experienced myself, it seems that with each of these categories comes a different pedagogical approach. Creative Writing seems to put a heavy focus on fine-tuning the details of a product -- word choice, flow, tone, etc... Conversely, Dramatic Writing tends to emphasize the big picture issues -- plot, pacing, character. As with Lego vs. Construx, it all depends on the needs of the student. Some writers need help with fine-tuning, others need help with structure. Actually, writers need both -- but hopefully they can figure out whatever they didn't learn at grad school on their own. I recently read a fascinating article by Cathy Day who has been teaching fiction-writing for years[1. 1. Thanks to Liz Burns for the link!]. She identifies a problem with traditional Creative Writing MFA programs: semester logistics makes novel-length assignments impossible, and so instructors instead focus on short stories -- a medium that most students (not to mention the reading public) don't even care about. This model is justified by the "learn to walk before you run" argument. Day, however, observes that such programs don't help people run, they just teach people to walk really well. Of course, there's nothing wrong with short stories (or walking!). But Day worries that all this focus on fine-tuning leads to graduates who are not prepared for the structural challenges unique to long-form projects. It sounds to me like she is wishing her students could play with fewer Legos and more Construx. I first learned of Brewer's Dictionary of Phrase and Fable when reading an interview with JK Rowling. Once I became aware of it, I found references to the book all over the place. Apparently every writer in the world already owned and loved a copy. Obviously I needed one too! The dictionary was written in 1870 by Reverend E. Cobham Brewer. Is was designed to be a sort of poor-man's education in idiom, history, literature, and folklore. The combination of these different fields leads to some wonderful cross-referencing. Almost every entry contains a "See also" listing other related entries -- an endless series of digressions-on-digressions. If Laurence Sterne wrote a reference book, it might look something like this. "has anyone ever opened the great Dictionary of Phrase and Fable . . . looked up the one entry they wanted to read about, and then closed it at once? Of all the dictionaries in the world it is the most like a treasure-hunt, where one phrase leads to another, and that to a third, and before you know what's happened, it's time for lunch." As much as I love this new edition (which I got for Christmas), I was disappointed to see that many of the older, more obscure entries were cut out to make way for contemporary content. That's a pity because part of the fun is in discovering words and phrases that I could never find on Wikipedia. Even Pullman can't help but indicate his dismay at this fact, and he ends his forward with a teasing reference to a forgotten tradition of blessing the Duke of Argyle when scratching one's back. Still, this new edition has plenty of wonderful gems to keep me busy for a while. You may have figured out by now that I use the "Marginalia" box in the right column to put down things that I read, heard, or saw that day. The entries in that section are transcribed from my physical journal.[1. 1. anyone who has ever met me can attest to the fact that I carry a black, spiral-bound journal with me everywhere I go. More on that later.] I figured including a designated spot for such stuff might keep me accountable -- I'm not allowed to sleep until I've learned something new. For the next couple weeks, I'll be rooting through Brewer's in search of interesting entries. Enjoy.